A convenient pick up from downtown Coron will take you safely to the start of your adventure! The pick up is a bit of a hustle but the rest of the trip was pretty nice and the food was great. I booked a kayak and was nice but I had little opportunity to use it and it was quite expensive. Cheers and enjoy Coron! 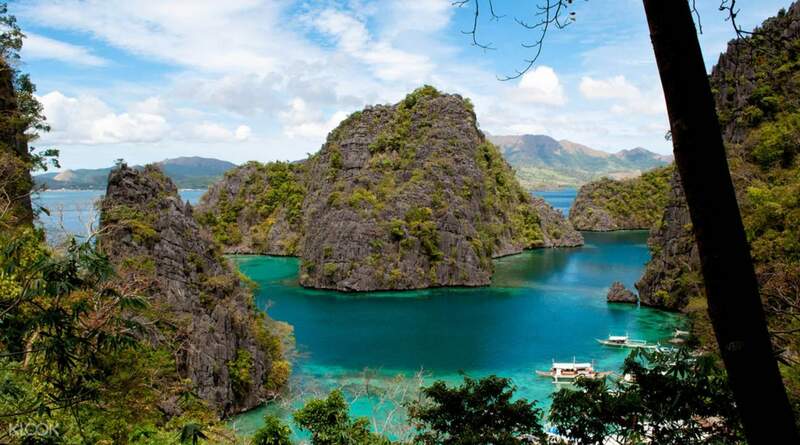 Go on a day of relaxation and discovery in this tour of Coron, where you'll be able to visit its idyllic islands and lakes and explore all the fun activities it has in store! Start off your day by soaking up the morning sun on the powdery white sands of CYC Beach or taking a refreshing dip in its cool, crystal clear waters before going for some snorkeling in the Coral Garden for thriving corals and diverse marine species. Enjoy a tasty lunchtime picnic at Atwayan Beach to reenergize you for your next stop at Hidden Lagoon and experience its unique combination of freshwater and saltwater which produces a temperature that is a peculiar mix of warm and cool, rarely felt in other bodies of water! After some more snorkeling at Quin Reef, you'll end the tour with some time at Kayangan Lake, known as the cleanest lake in the Philippines. Be sure to take photos of this gorgeous lake, with its mixture of turquoise and light-green waters, as well as the sturdy trees and towering limestone formations that surround this picturesque beauty. 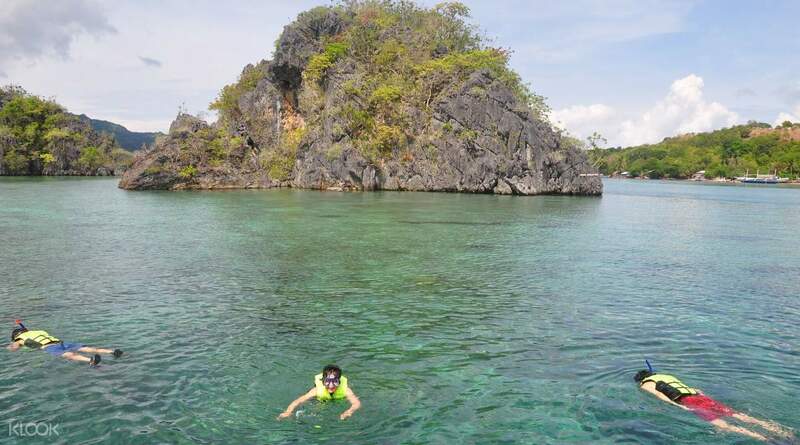 Snorkel in the crystal clear waters of Coron and see thriving corals and diverse marine species! It was ok. We started with Kayangan Lake. But the other stops were the same of the tour B. The name were just differents. Our lunch was supposed to be at Atwayan Beach. But we went to Banol Beach, like tour B. Disappointment but the crew was nice. It was ok. We started with Kayangan Lake. But the other stops were the same of the tour B. The name were just differents. Our lunch was supposed to be at Atwayan Beach. But we went to Banol Beach, like tour B. Disappointment but the crew was nice. I love Palawan!!! Great adventure, very wonderful place! Kayangan Lake is our number 1 favorite! Our tour guide kuya Jojo is very imformative, he gives us background in every destination. He is also our photographer (very cool). Over all it was a memorable trip! I love Palawan!!! Great adventure, very wonderful place! Kayangan Lake is our number 1 favorite! Our tour guide kuya Jojo is very imformative, he gives us background in every destination. He is also our photographer (very cool). Over all it was a memorable trip! Hassle free tour. everything was organized. No delays. We were picked up from the hotel on time and were able to enjoy every location with ample time. The scenery was breathtaking but my fave part of the tour is the Kayangan Lake..the view was like out of this world..with fresh clear water and limestone wall you will fell in love instantly. Food was fantasting and overflowing! Hassle free tour. everything was organized. No delays. We were picked up from the hotel on time and were able to enjoy every location with ample time. 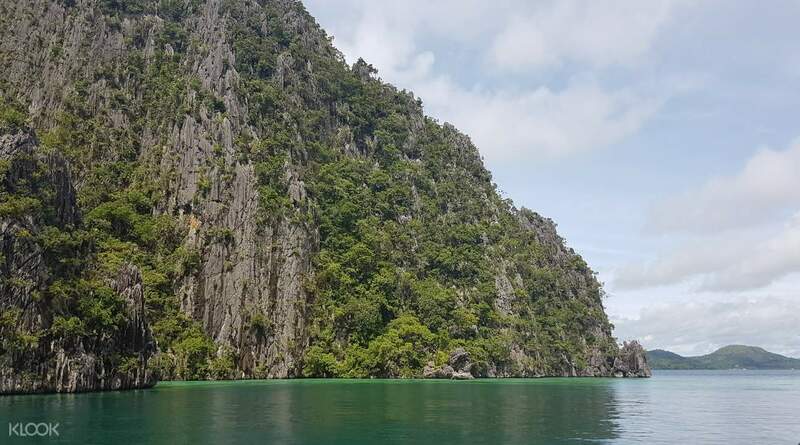 The scenery was breathtaking but my fave part of the tour is the Kayangan Lake..the view was like out of this world..with fresh clear water and limestone wall you will fell in love instantly. Food was fantasting and overflowing! Thanks Klook for the experience. We enjoy our trip and the lunch were very yummy. The tour guide is very helpful in taking pictures. My daughter and I always use klook it never fail us. Thanks Klook for the experience. We enjoy our trip and the lunch were very yummy. The tour guide is very helpful in taking pictures. My daughter and I always use klook it never fail us. The tour guide was very nice and fun. He also tells us the informations and the “must know” about the places we will go during the tour which made us even more excited exploring the beach. Best part is wen we snorkle at the coral garden. Never thought corals would be that beautiful in actual. Thank you Klook for this. The tour was so memorable. The tour guide was very nice and fun. He also tells us the informations and the “must know” about the places we will go during the tour which made us even more excited exploring the beach. Best part is wen we snorkle at the coral garden. Never thought corals would be that beautiful in actual. Thank you Klook for this. The tour was so memorable. What an amazing tour. They are on time and they will contact you a day before the tour for additional details. Everything is good, from food to how they accommodate you. This is one to remember. Special thanks to Kuya Nash for making the tour extra fun! What an amazing tour. They are on time and they will contact you a day before the tour for additional details. Everything is good, from food to how they accommodate you. This is one to remember. Special thanks to Kuya Nash for making the tour extra fun! The tour was okay! The food was okay. The tour guide was okay as well. It was fun! We enjoyed the trip, but we would also like to warn the people that the destination tours were a but different from the places that are being advertised here. In here, it states that there will be 6 destinations to get around to, but in the exact trip, it was only 5 destinations. The tour was okay! The food was okay. The tour guide was okay as well. It was fun! We enjoyed the trip, but we would also like to warn the people that the destination tours were a but different from the places that are being advertised here. In here, it states that there will be 6 destinations to get around to, but in the exact trip, it was only 5 destinations. Service arrived on time. Tour guide was the best. The food was more than enough with the group and all of the destinations were visited and were a sight to behold. Service arrived on time. Tour guide was the best. The food was more than enough with the group and all of the destinations were visited and were a sight to behold.